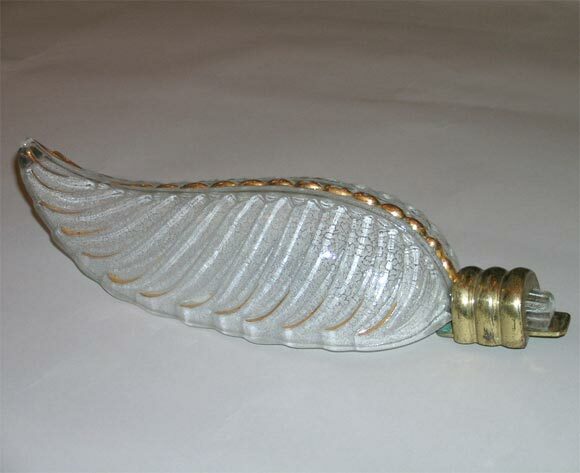 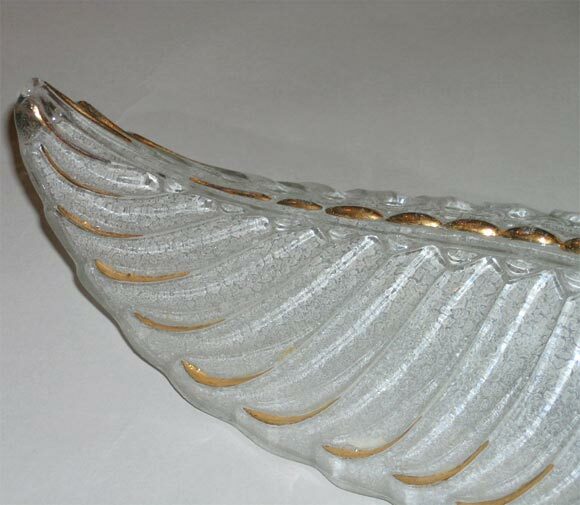 Pair of French Wall Sconces signed Ezan, circa 1940’s, frosted clear glass with golden highlights mounted on a bronze base by Petitot. 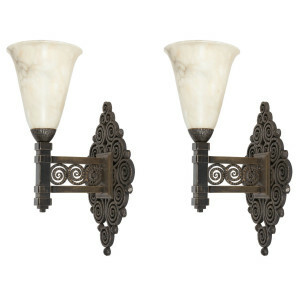 Egyptian revival two tone patina cast bronze wall-sconces. 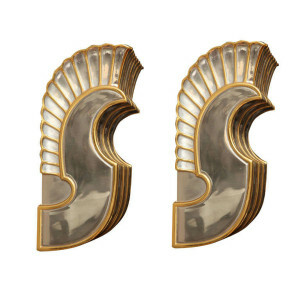 One pair and one single available. 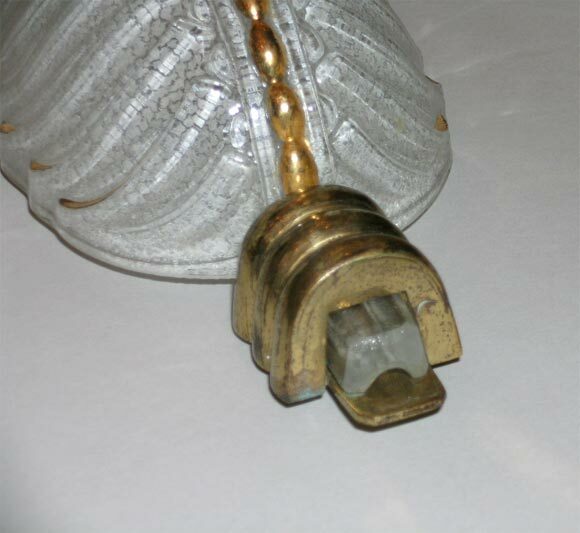 Alabaster shades are old but may not be original. 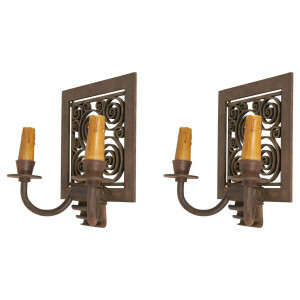 Edgar Brandt pair of wrought iron wall sconces. 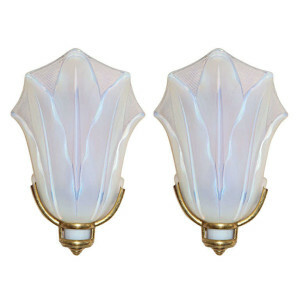 EZAN Pair of Art Deco Wall Sconces in opalescent glass shades mounted in a bronze frame. 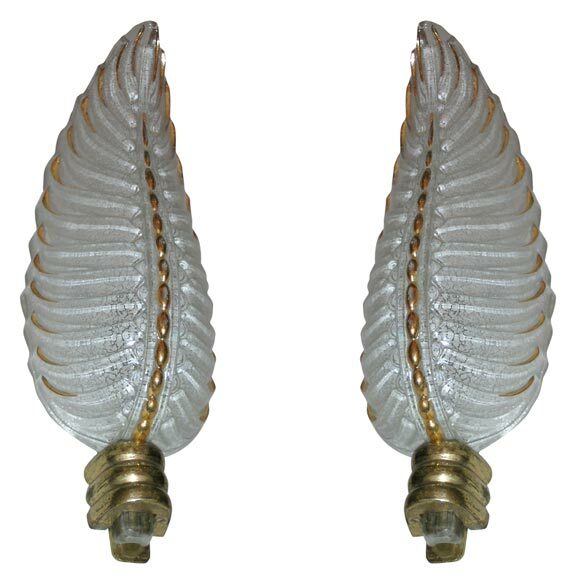 Pair of large single-arm sconces in the shape of an antelope horn, in silvered bronze, c. 1940. 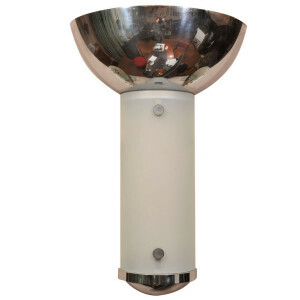 Height 19 in. 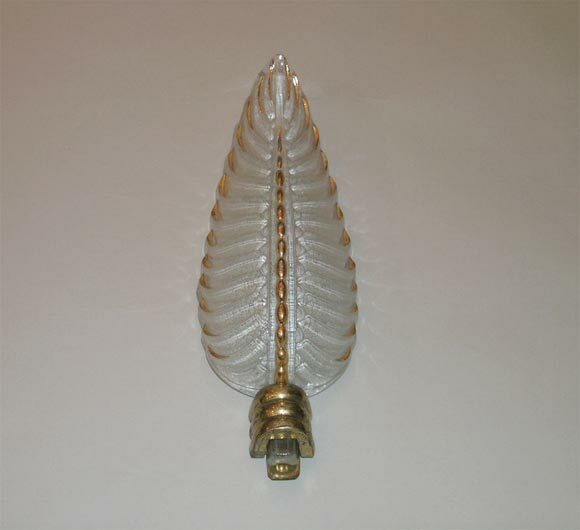 Set of four sconces is available.